One of a kind bottle with a sculpted skull stopper. 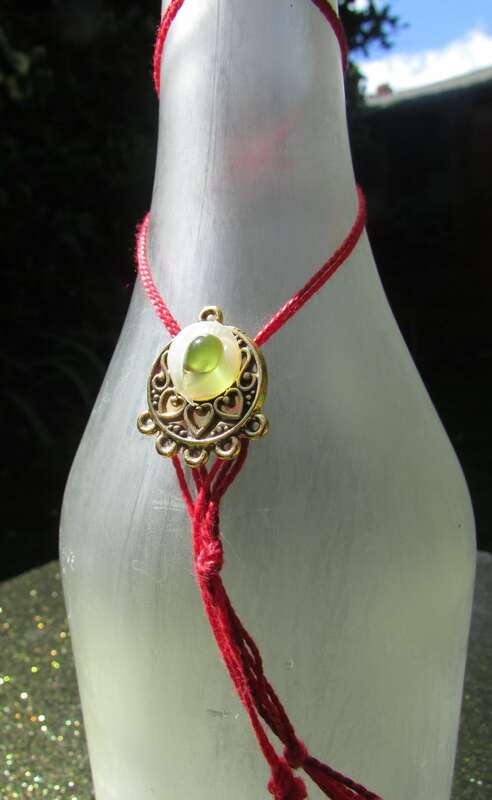 Decorated with silk wrap and jewels, and finished with an acid etch, for a sea-glass effect. Perfect gift for the pirate in you life! IE Glassworks is all about taking things that would be thrown away and making them into something unique, useful, and better than they were before. I'm on a mission to take something unwanted or boring, and make it into a piece of original art which often comes from a discarded jar or bottle. Where glass is reclaimed and upcycled, it is reshaped by carefully scoring and making a controlled break, which means the edge is imperfect, but is always sanded and smoothed for a comfortable rim. Glasses are finished in a variety of styles, from laser transfer and decoupage, to acid etching, marble dips, and glass paint. Every one is an original.